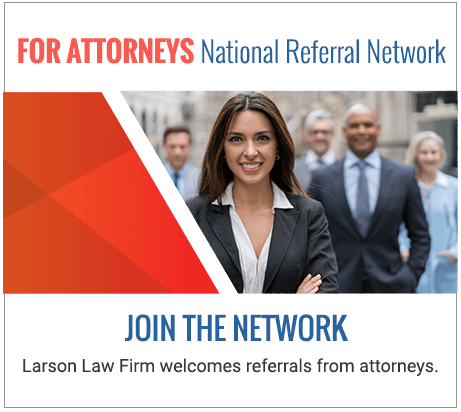 Major Spike in Opioid-Related Car Accidents in North Dakota | Larson Law Firm P.C. The opioid epidemic is crippling much of the country. The U.S. Centers for Disease Control and Prevention (CDC) reports that about 91 Americans die every day from an opioid overdose, whether it was a prescription painkiller or an illegal street drug like heroin. The death rate from prescription opioids has more than quadrupled since 1999. But overdoses are not the only casualties of the opioid epidemic. Fatal car crashes involving opioid use have skyrocketed in recent years. A research study conducted by Columbia University’s Mailman School of Public Health and published in the American Journal of Public Health, analyzed the percentage of fatally injured drivers who tested positive for prescription opioids and found that the number had increased from one percent in 1995 to seven percent in 2015. This represents a 700 percent increase. In the study, of the drivers who tested positive for prescription opioids, 30 percent also had high blood alcohol concentrations, and 67 percent also tested positive for other drugs. One of the challenges with determining if a driver who causes a crash is impaired by drugs, is that the testing procedures and protocols are not as reliable as those for alcohol testing. Jim Hedlund, from the Governors Highway Safety Association, told CBSNews.com, “it isn’t clear if the protocols used to test drivers who died in car crashes was the same from state to state. From these data [in the Columbia research study], the extent to which narcotic painkillers were the cause of a car crash also isn’t clear. The presence of a drug doesn’t imply impairment” (emphasis ours). Hedlund underscored the importance of doctors and pharmacists informing patients how much opioid drugs can impair them when they drive. At the Larson Law Firm, P.C., we are ready to protect your right to recover compensation when you have been injured in a car crash. Our honest and aggressive legal team is ready to fight for your rights when your injury was because of someone else’s negligence. To schedule a free consultation with a North Dakota car crash lawyer at out firm, please call 701-484-HURT, or fill out our contact form now. Is My Auto Mechanic Liable for a Crashed Caused by Negligent Repair Work? Are Men or Women More Dangerous on the Road? Injured While Taking Uber or a Ride Share?